But how well do they know you? Maybe they know your favorite color, your talents, what makes you frustrated or what foods you don’t care for. In actuality, they know a lot about you. 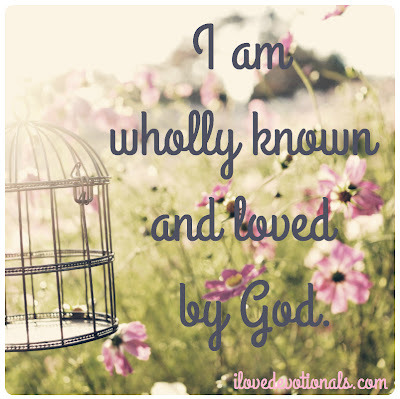 What Paul says in 1 Corinthians 13:12 is that God doesn’t just know about us, but we are fully known by him. I think of it as the difference between music being an intimate language of life and music being technical black dots on a piece of paper. 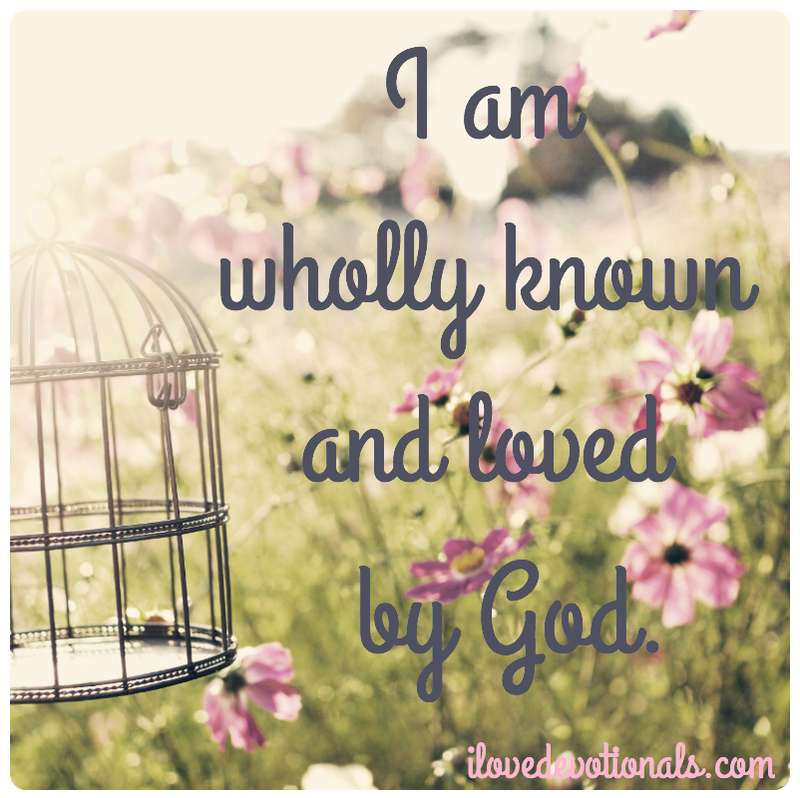 God knows us completely and loves us indefinitely. Sins and all. He knows what floods our minds, yearns our souls, and lifts our hearts. He knows what we think but never say, what we feel but can’t express, and when we’re tired but cannot slow down. We can’t hide from God, nor should we. God can never know us more fully than he already does, but we can get to know him more. When we let God in and get to know him–beauty, movement, color, feeling and love take shape in our lives. Even if we only get a glimpse of God, or see a slight reflection of what it will be like to be with Jesus in heaven, it is worth the effort. The more of God we embrace, the more we will be captivated by his being, and the more he will permeate our lives with goodness. So how do we let God in and get to know him more? To be fully known by God is actually our greatest desire, but we often seek this intimacy in other people instead. We think that having someone in this life know us well is the best we can do, but it’s just not true. Remember that God hears the harmony or discord that your heart sings when you think no one’s listening. 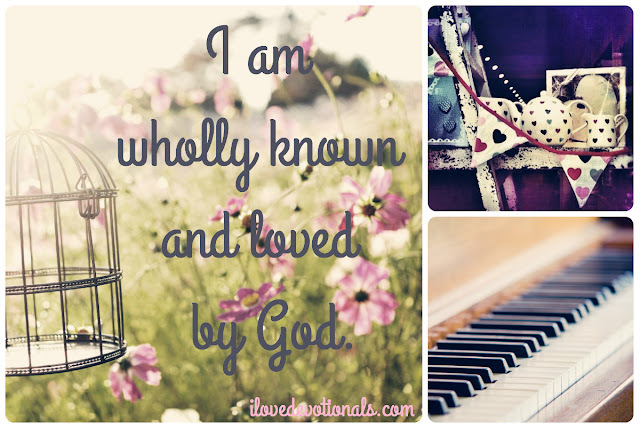 Will you echo his invitation to be known? Cailin Henson is Editor-in-Chief at New Identity Magazine. She loves to cook vegetarian food, spend time with her family, travel and listen to film music. Connect with New Identity magazine on facebook, twitter and via their newidentitymagazine.com..
You can share this devotional on twitter by clicking here. I’d also love you to come say "hi" on my facebook and twitter pages or leave a comment here. If you would like to submit a guest devotional find out how to here.